Sometimes life turns into such a whirlwind that my to-do list goes on and one yet nothing gets done. Case in point? 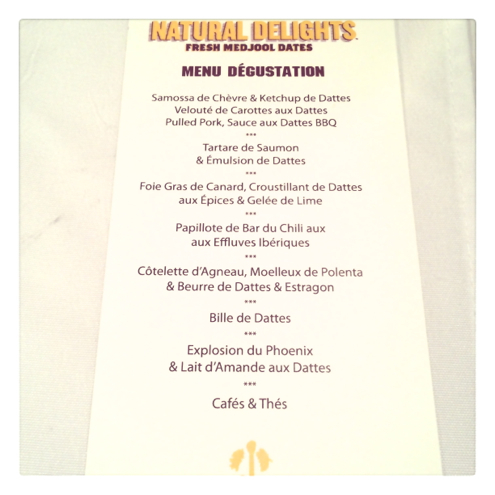 Last October, I was invited to a lunch at Montreal’s Guilde culinaire — a very dangerous place I love dangerously — for an event organized by Natural Delights Medjool Dates. 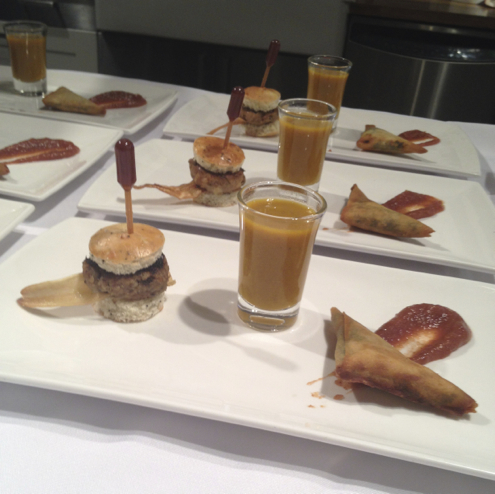 The menu featured 7 courses from appetizers to desserts, and savoury to sweet, all concocted around dates. I was blown away at how versatile dates are, who knew? 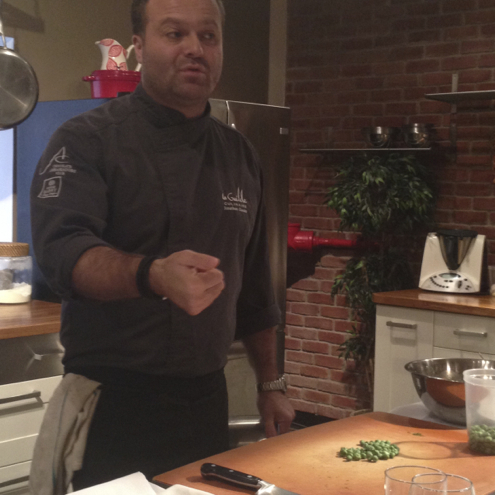 Cooking up a storm that day, chef-owner Jonathan Garnier had the assembly of journalists smiling at his way with food and words alike. 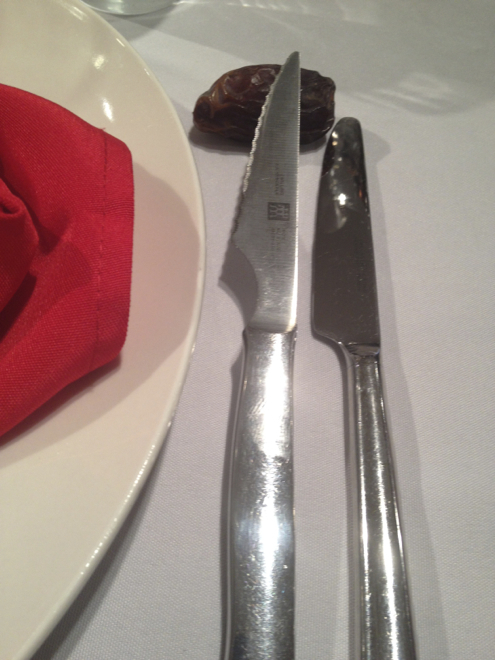 A cute touch worth borrowing, dates used as knife support. 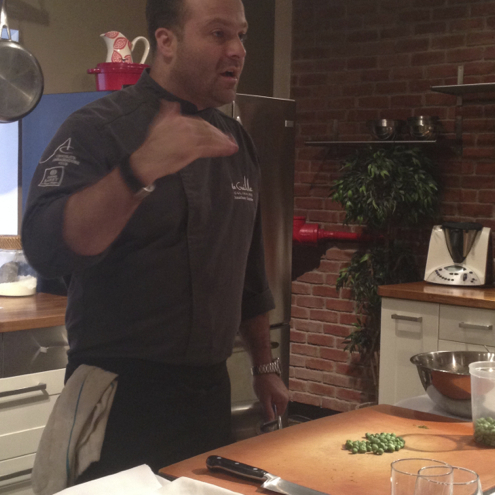 La Guilde culinaire also offers nifty cooking classes in one of Montreal’s most inspiring décors. Since we were seated at the counter with a direct view on staff plating dishes, I decided to play Kid iPhone for once and photographed the whole proceedings. 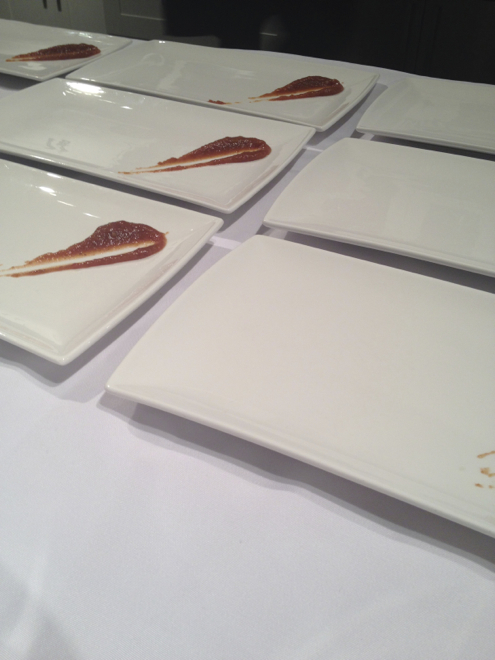 It was fascinating to watch the plates come together one carefully-placed ingredient at a time. And the whole meal proved fan.tas.tic. I always entertain doubts about TV chefs, let’s face it, but was quite delighted by the spot-on taste and plain deliciousness of everything served that day. 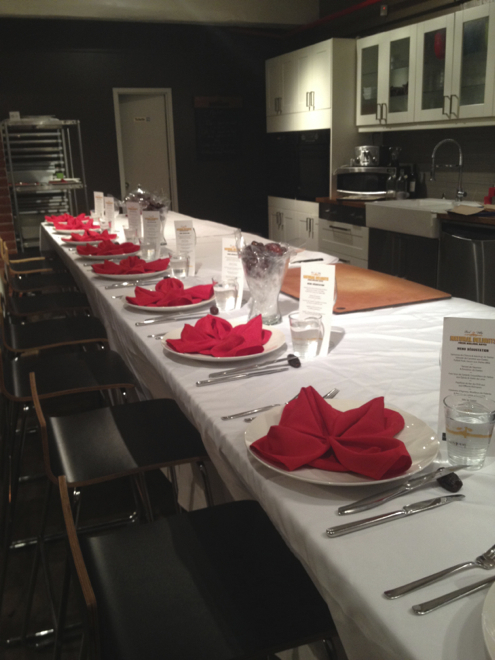 Kudos to chef Garnier. Of course, I achieved nothing else all afternoon as I sat comatosed at my work table. Tough job but somebody must, you know, eat it. 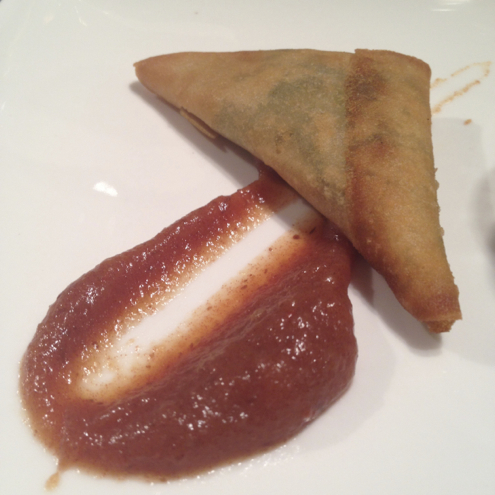 In the first of the series, here are some of the photographs and, more importantly, a Goat Cheese Samossa with Date Ketchup recipe graciously provided by Natural Delights and La Guilde Culinaire. I don’t remember ever posting recipes from events I attend, so it says it all. Try them and enjoy? Medjool are grown all around the world in desert-like areas from the Middle East to Africa, California, etc. 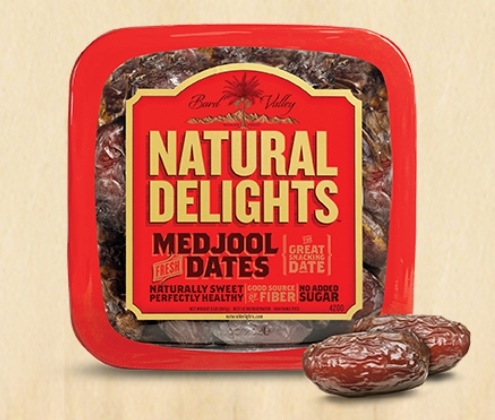 There exist several families of dates — like Deglet Noor, Halaway and Zahidi —, but Medjool are considered the king of dates because of their size, rich taste and tender flesh even when dried. The perfect choice to sweeten dishes naturally, they rock on several levels: they’re a good source of fibre and contain many minerals like potassium, magnesium and copper. You can use dates to cook many types of recipes as shown by chef Garnier; combine them with yoghurt for a healthy breakfast on the run; stuff them with meat or nuts for a quick appetizer; add them to your usual break or cake dough, etc. Little-known storage tip: dates can be frozen! In fact, that’s how they are usually shipped to your favourite fruit store… Feel free to do so at home too. In a hot pan over medium heat, soften onion in Mycryo butter or canola oil. Add carrots and garlic. Do not let colour. Add water, then cover and simmer 20 minutes. Using the end of knife, check if carrots or done. If not, continue cooking a little. With a hand-held mixer, blend soup until silky smooth. 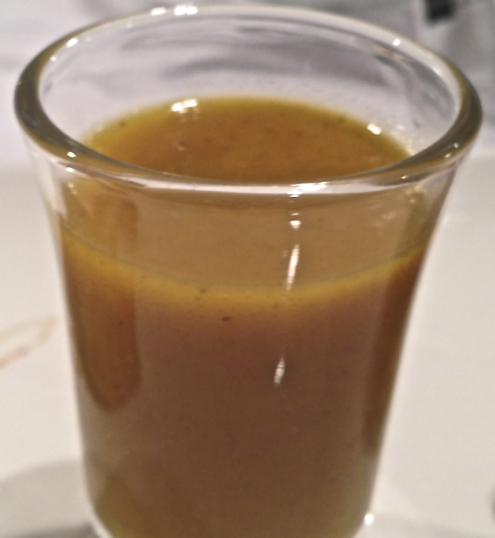 Add dates, cold butter, cumin, coriander, curry, salt and pepper, mixing until well-blended. 1. For the Samossas ••• Preheat some canola oil in a fryer at 190°C (375°F). 2. 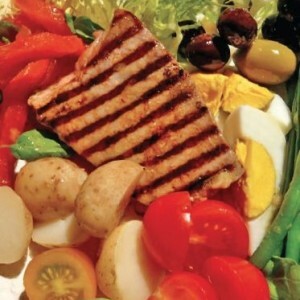 In a bowl, using a spatula, combine cheese, pine nuts, honey, spinach, salt and pepper until well-blended. 3. In another bowl, with a fork, combine flour and water. 4. Cut each sheet of dough in 2 to make large strips. Place a little stuffing at one end of each strip and fold over and over, forming a triangle. Glue the ends together using the flour mixture. 5. Place rolls inside the fryer basket and cook until golden. 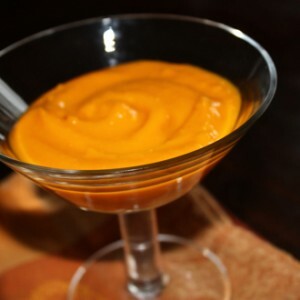 Serve with date ketchup. 6. 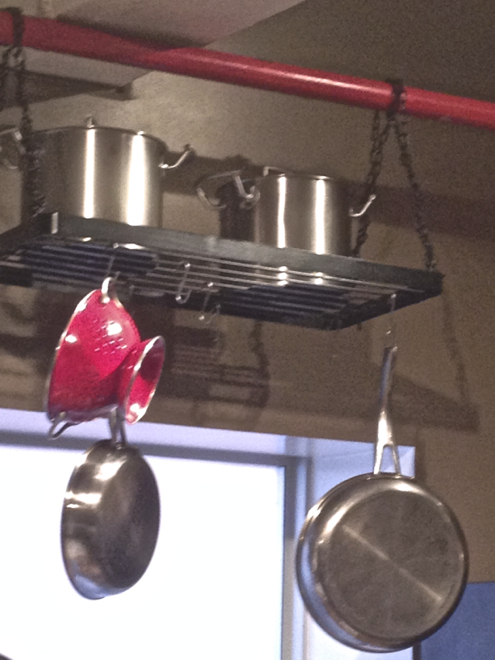 For the Ketchup ••• In a pot, cook onion in oil until softened. 7. Add all remaining ingredients and bring to a boil. Reduce heat to low and simmer 2 hours without covering.